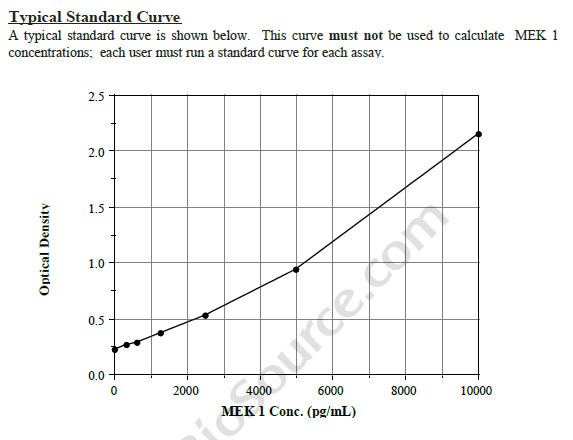 Intended UseHuman MEK1 ELISA Kit allows for the in vitro quantitative determination of MEK1 , concentrations in serum, Plasma , tissue homogenates and Cell culture supernates and Other biological fluids. specificalTotal MEK 1 Enzyme Immunometric Assay (EIA) kit is a complete kit for the determination of pan or total MEK 1 in cell lysates.For research use only, not for use in diagnostic procedures. Inquiry About Human MEK1 ELISA Kit If you hope to order it or contact us directly, please contact us via sales@biobool.com. We will get back to you in 12hrs,Thanks!